As you might know, WordPress 5.0 uses a new default block editor also known as Gutenberg. The GutenSpot plugin extends the WordPress block editor functionality by adding useful extra block element to it. Create custom hotspots to make your images more informative and interactive using the Gutenberg blocks. 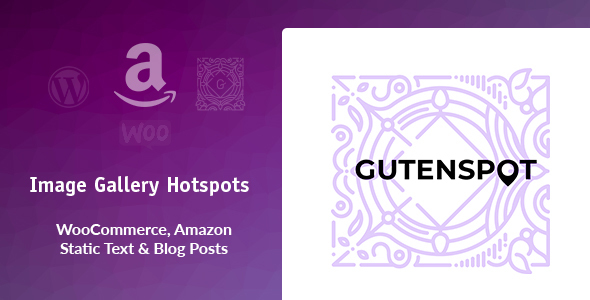 Gutenspot helps you display woocommerce products, amazon products, products features, visual guides, image maps, interactive image charts or graphs and blog posts in an easy and interactive way. 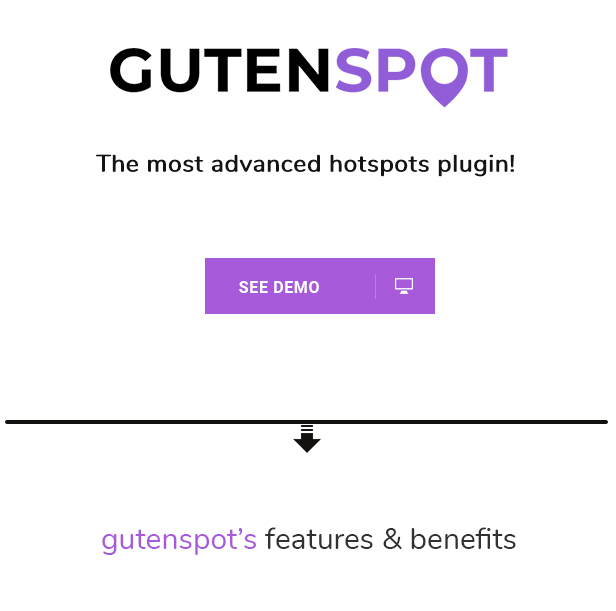 Gutenspot converts boring pages or posts into into amazing visual examples which will certainly draw attention of your visitors. Dynamic content – woocommerce products, blog posts & amazon products data is taken live from your website! In order to avoid design or color conflict we took care and added color pickers for pointers, tooltips and text. Additionally there is an ability and define position of the tooltips not to cover each other if they are placed too close and make it display on hover, on click or all the time. The main point is that you can edit it visually using Gutenberg Visual Builder and without any coding experience at all. Hotspots can be triggered via click & hover or have them opened by default (always opened). Also they have a nice pulsing effect. Choose to display custom icon pins from over 6 different icon packs – there are over 1300 different icons where you can choose from. This plugin is 100% Compatible with the latest WordPress Version and its new visual editor Gutenberg & also with WooCommerce! Also you can add Amazon products into hotpoints & even blog posts! No coding necessary, no amazon API keys, the plugin works as is. 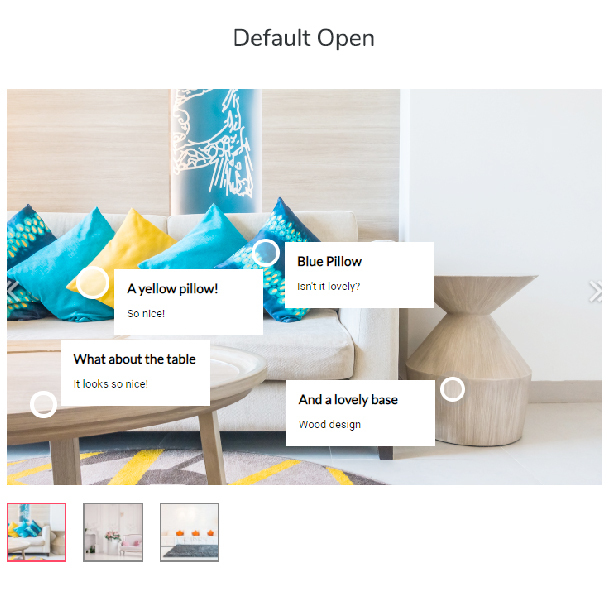 Embed Amazon Products into Hotspots!! Start Making Money with Amazon’s Affiliate Programs with no effort! Super easy to install and use. Add as many hotspots on an image as you like. Dynamic content – woocommerce products, blog posts & amazon products data is taken live! Each tooltip content can be customized separately.